Meet us in St. Louis on August 5-7, 2019, for the 9th International Conference on Structural Health Monitoring of Intelligent Infrastructure. SHMII-9 will address the theme of “Transferring Research into Practice” through keynote speakers, breakout sessions and posters. 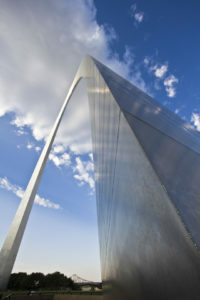 While attending SHMII-9 enjoy your stay at the Hyatt Regency St. Louis at the Arch and explore “The Gateway City”– St. Louis.